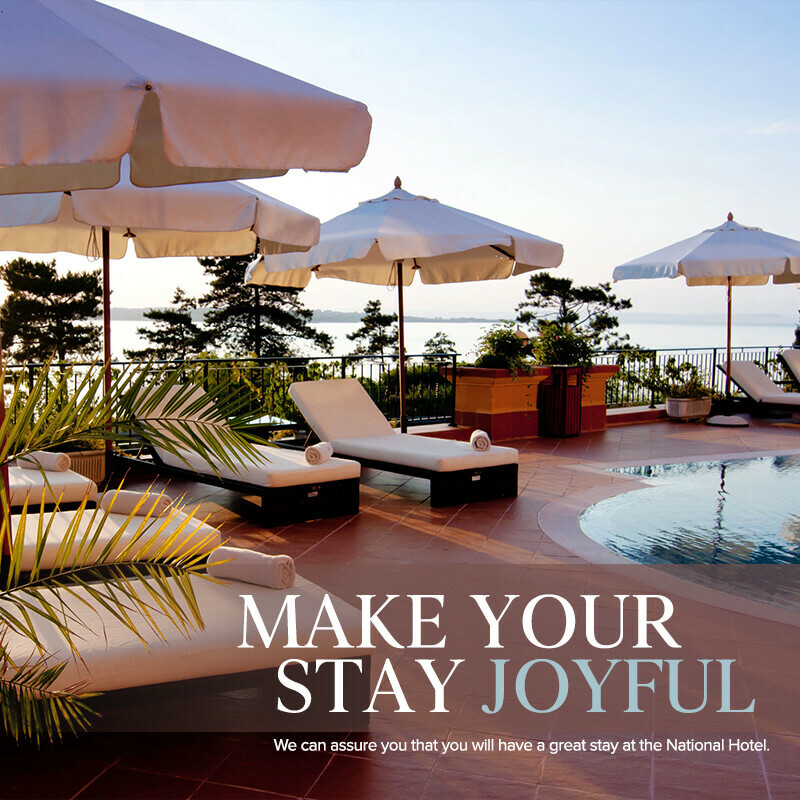 The National Hotel would like to thank you for choosing our place to stay in during your trip or vacation. If you haven’t tried staying in our hotel yet, we suggest you book now! We offer the best services in terms of accommodations and comfort in a hotel.The National Hotel hopes that you have or will enjoy your stay with us. If you have any questions about our hotel and our services, you can just message us at info@thenationalhotel.com and we will make sure to answer you as fast as we can. Leave us a comment as well whether it is about our services or hotel at feedback@thenationalhotel.com. We want you to know to know that the National Hotel would like to improve its services further and your feedback would help us a lot in doing that. We appreciate your effort coming to our website and visiting our hotel. Our team hopes that you will have a great stay or vacation with us!